It wasn’t until recently that I discovered that one-third of vehicles in the early 1900s were electric cars in the United States. But in 1915 electric cars faded out because it was cheaper to own a gasoline operated car, the Ford Model T. It’s been over a 100 years since then and it looks like the roles are going to be reversed as we see a revival in electric cars. 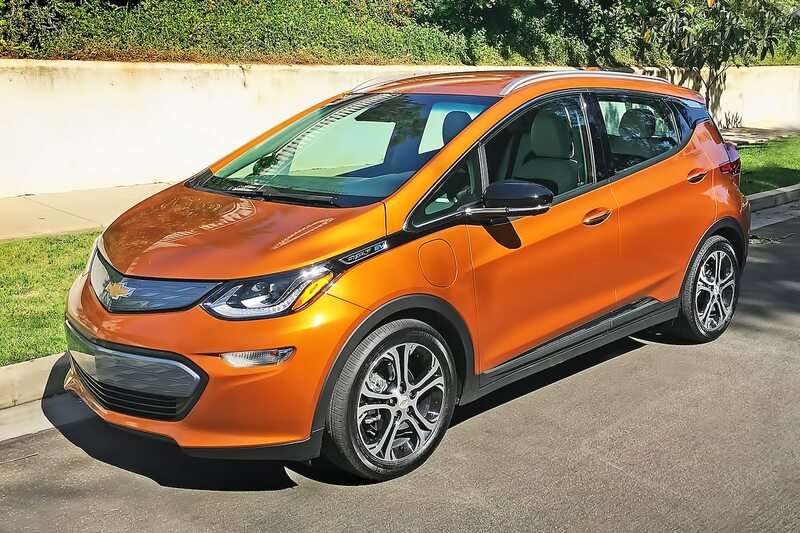 These days more and more major players in the auto industry are coming out with new and innovative electric cars. Motor companies that are not preparing to put out electric cars in the next few years will have little to no future in the auto industry. Many countries are pushing for zero emissions. In some Asian countries they are planning to ban gasoline vehicles completely by 2030. 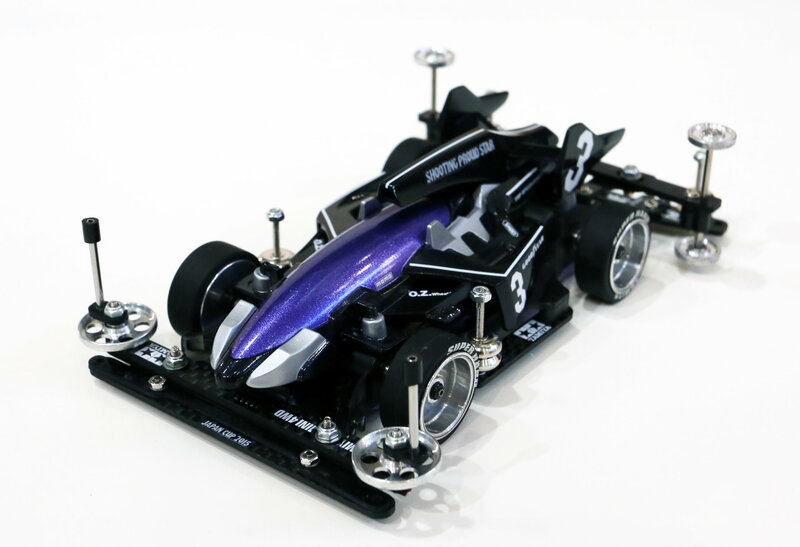 Formula E is an upcoming popular sport that I have got into recently. But obviously I will probably never own a Formula E race car. But owning a Tesla is not that far fetched. Tesla’s acceleration is impressive against other gasoline operated sports cars. 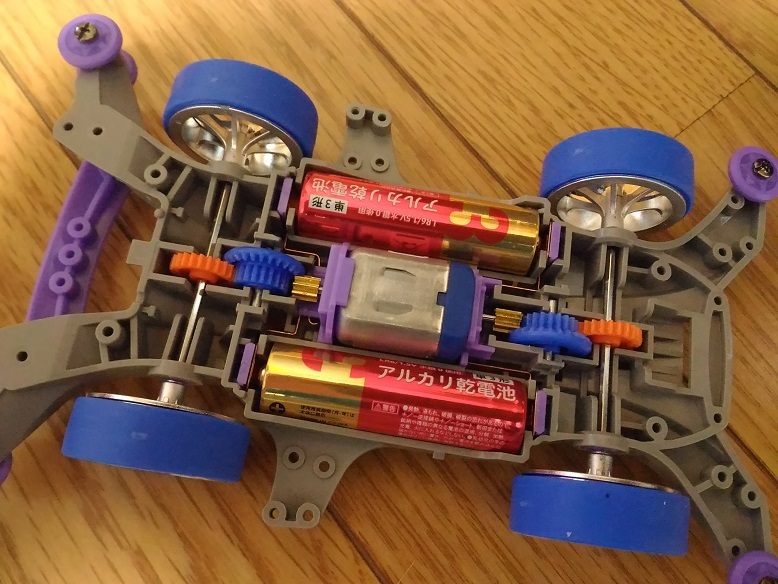 One reason I enjoy E racing is because it reminds me of my Mini Yonku(ミニ四駆), a plastic car with a battery driven motor, when I was a kid. I used to modify my car and enter into neighborhood races. 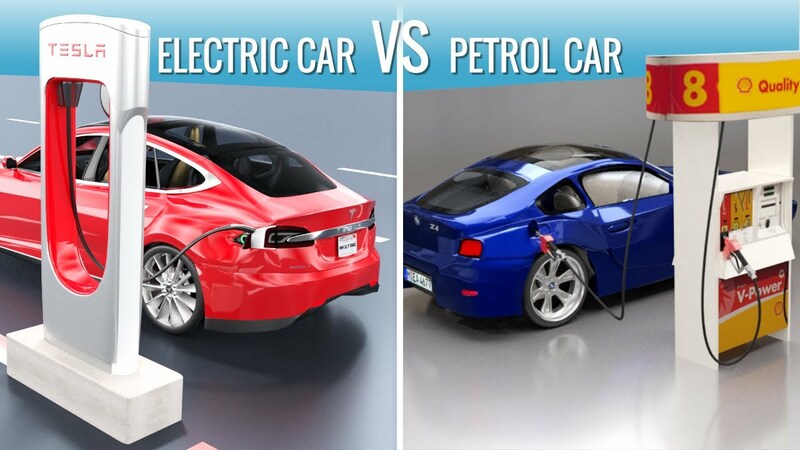 So what are the benefits of electric cars? Electric cars have few moving parts than a petrol car and requires little preventative maintenance. Oil changes are not needed with electric cars. Some other obvious benefits is the cost on fuel. You will spend a third or less in fuel cost compared to a gasoline car. Some cities are offering cheaper taxation on vehicles that run on electricity as well. Electric cars are safer as well. 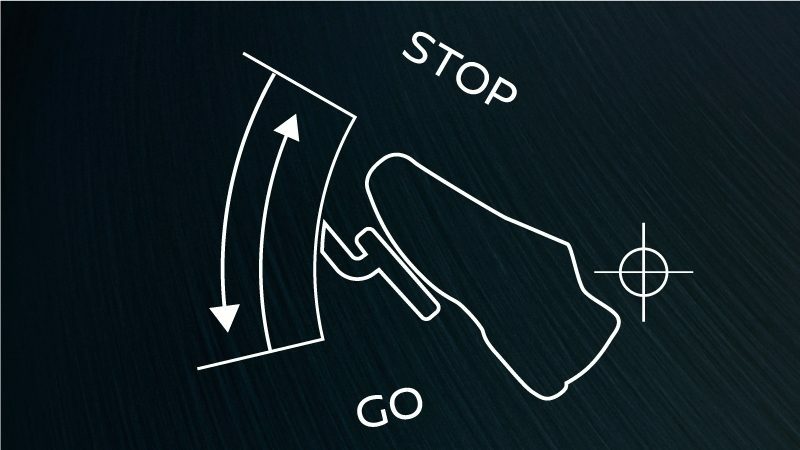 Due to the battery’s position electric cars have a better center of gravity. This makes the car more stable. Let’s not forget that it’s better for the environment. No emission means that we can enjoy better health. With the advancement of new battery technology the price will continue to decrease and charging time will be significantly reduced. Lithium-ion battery prices are still above $200/kWh but by 2030 it’s predicted to be at around $73/kWh. What does that mean for consumers? Affordable electric cars. . 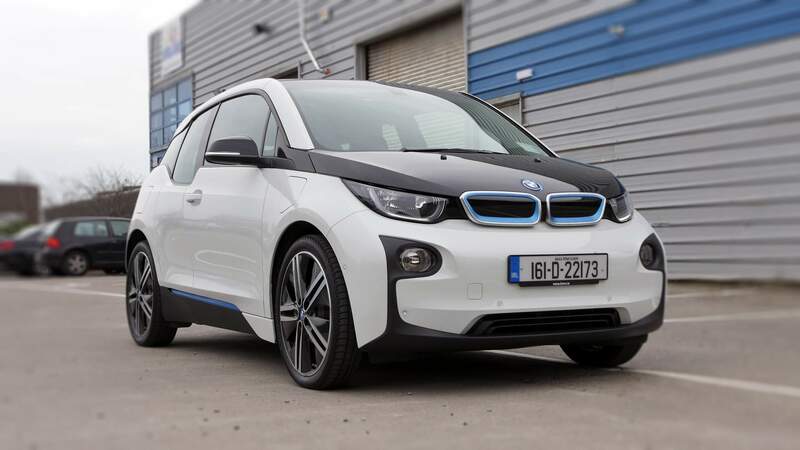 Here are some examples of top rated electric cars. Some of the finest and most reliable cars are made in Japan. Toyota, Honda, Subaru, Nissan, Mazda, Mitsubishi, Suzuki, Daihatsu, Isuzu. For years domestic buyers have been trading their older vehicles for new ones on after a few years. What prompts people to trade in a perfectly good car? Shaken (車検）or motor vehicle inspection. When you buy a new car you can drive it for three years without having to go through Shaken. Afterwards every car must go through Shaken every two years. Shaken cost anywhere from 100,000 yen to 200,000 yen. ( approximately 900 dollars to 1800 dollars) As a result most people decide to get a newer car rather than go through another inspection. The market value of vehicles in Japan drop drastically after 70,000 km or 10 years in Japan. For most people in other countries 70,000 km or 43,500 miles is not high at all. Most people in other countries are not deterred by a 10 year old car either. As long as it’s in good working condition and can be purchased at a fair price most cars have no issues finding a new owner. One thing I find interesting are the foreign made cars making it’s way either back to the country they were made or being transported to another one. For instance, a lot of German made cars such as Mercedes Benz, BMW and Volkswagen make their way back to Germany. I believe this is due to many German car owners in Japan keeping their used cars in great condition. What I also find interesting is customers in Europe that import American cars. You would think that American cars would be imported from the United States of America but many buyers prefer to buy them from Japan. Why? Because cars are well cared for in Japan. “Buying a new car is the worst financial decision millennials will make” is what one famous financial author, David Bach, says. 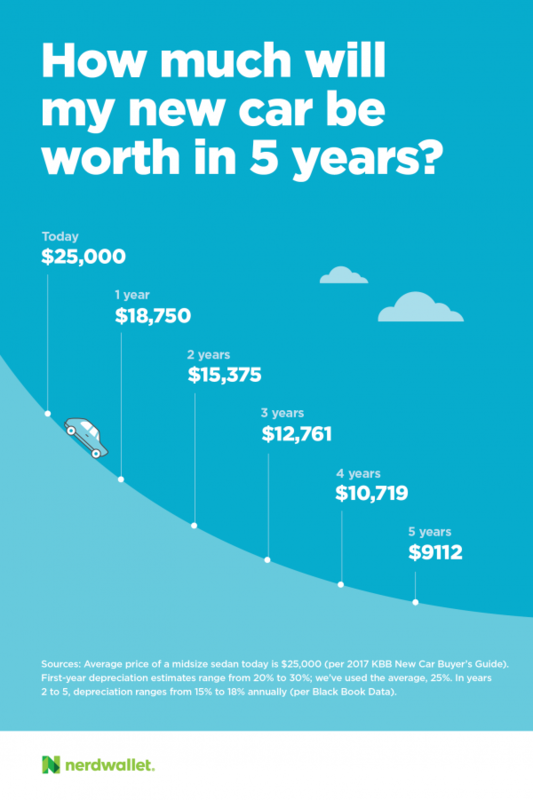 The car’s value decreases by 20 to 30% the first year and, in five years, it can lose 60% or more of it’s original value. Here is a visual example below. 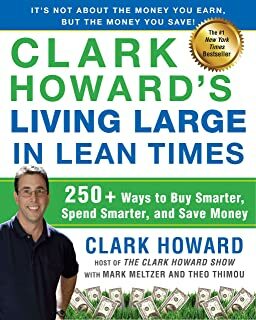 In my early 20s I remember watching an interview of millionaire, Clark Howard. He drove a used Toyota Prius and bought his sweetheart’s engagement ring at Costco whole sale store. I was really fascinated with this guy’s financial decision to purchase a used Toyota Prius. Now that I have a family of my own I understand the importance of making good financial decisions. I purchased a brand new Mazda right after my wife and I got married. I remember being worried of scratches and dents. I often parked away from other cars. Now that I own a used car I don’t worry as much about scratches and dings. So, the question is which car should I buy? Well, according to Clark Howard these are the top 10 cars that will almost certainly last you more than 200,000 miles or 322,000 km. Keep in mind to change your fluids and filters regularly and you should be able to get the most out of your car and save thousands! 9 out of 10 are Japanese made cars. One of the best places to get your Japanese made cars is from Japan. Why? Because almost every car from Japan has been through inspection. 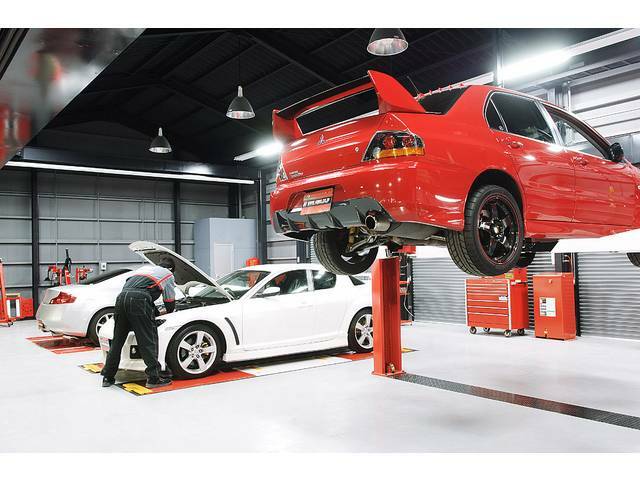 In order for cars to pass inspection their components must be in good working order. This means that the chances of you buying a lemon is very slim to none. 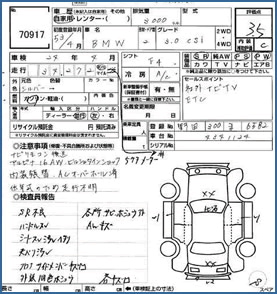 Every car that is sold at the auto auctions in Japan are inspected and have an auction sheet with a grading system on it. If you read Japanese you will have no problem reading the auction sheet below. For those who do not read Japanese, Provide Cars Ltd. offer free translation and advice to members to help you make good choices on which cars to buy. We serve dealers, businesses, non-profits and individuals. All are welcome. 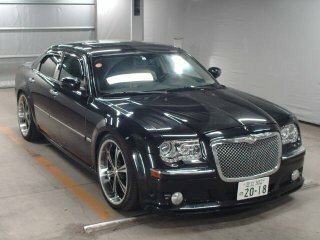 Sign up for a free trial at www.providecars.co.jp and click on the “SIGN UP” tab. 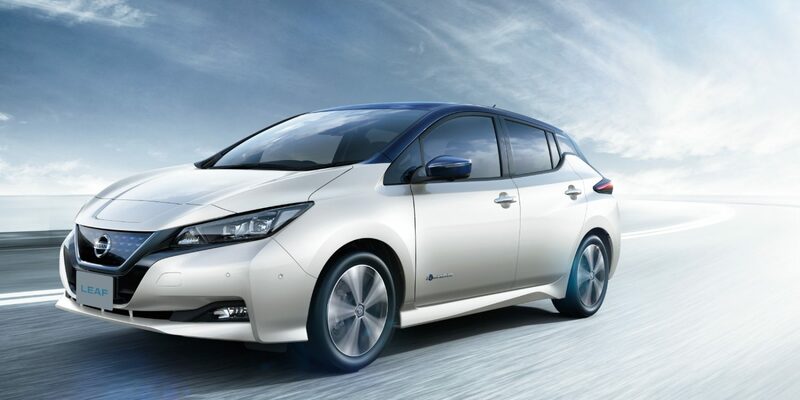 Nissan claims the car can do 400 kms with the new 40 kWh battery pack, however the reality under more normal road conditions is more like 240 kms on one charge. I’d love to give this new generation Nissan Leaf a try. 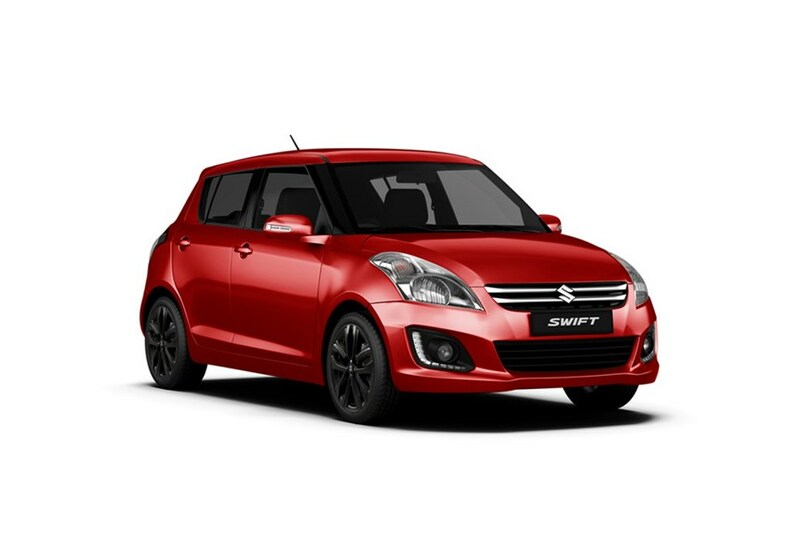 I am not a huge fan of Suzuki but I am a fan of the Suzuki Swift. I really like the 2nd and 3rd generation Swift. The smooth compact body is very appealing. Besides the Swift I really can’t recall what other Suzuki’s are available on the market at this moment…I’m sure I will think of another model later. The Swift gets great mileage at little over 60 mpg. It has a nice engine but some would complain that the interior needs a bit more improvement. But when you consider what you can get for the price it all balances out. If you are looking for a nice and affordable car to make some modifications to the Swift is a great choice. 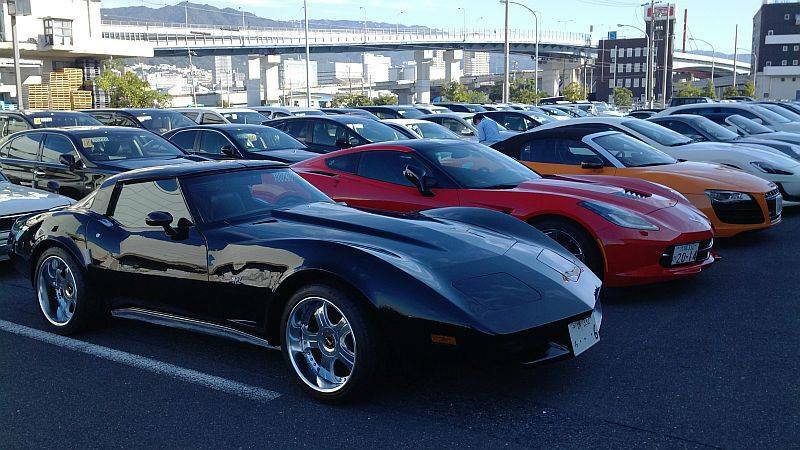 At the Japanese auto auctions a 2008 to 2009 Swifts sells between 50k yen to 100k yen.